It is always right after Fashion week that I reflect on the amazement and all the hoopla and circumstance that takes place during the shows. 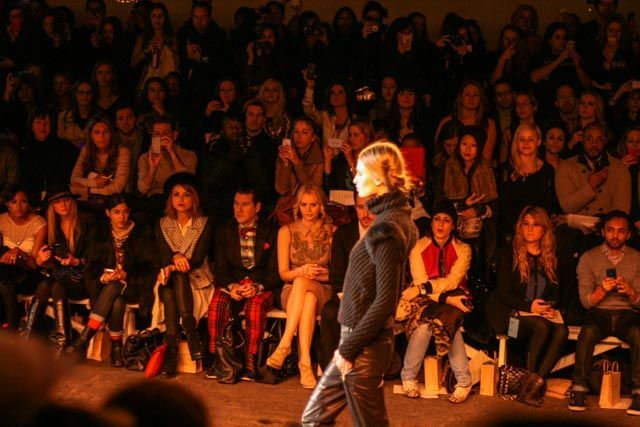 The designers spend umpteen amounts of money on a full-fledged production, clothes are fitted (or not) on waif-like models, the venue is secured, playlist ready, and the mood is set. I then wondered if shows don’t matter, and if the designers did without shows, what would happen? Would the buyers still write their typical ‘buy’? Would the press, bloggers and vox populi alike still write their lengthy reviews? And finally, what about the front-row celebrities donning their favorite designer clothing? I for one, love the combination of the music, the muse, and the mood of each show. I am transported into a different time and place, and I project, that is the magical message the designer wants to get across to each member in attendance. Hoping to leave you enthralled and inspired as well, click down below for a trip that transported me from show to show. 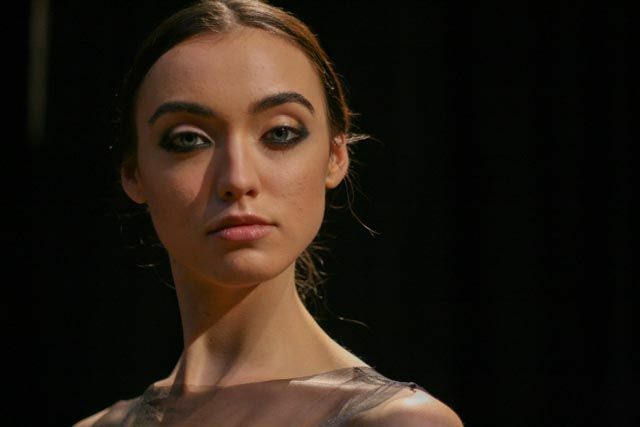 From the downtown girl in The East Village at Rebecca Taylor, to the gilded age in 17th Century Paris at Jenny Packham, to the Russian opera at Christian Siriano and the countryside at Misha Noono and back home. You’ll need to pack a bag. Let the show go on. The first stop is at home with Rebecca Taylor where she used leathers, shearlings (love that return of the furry sheep), zippers, and embellishments, to add a tough edge the downtown girl. I was particularly enthralled with the copious amounts of layering in the form of biker jackets, thrown over pleated chiffon, and utility pants. 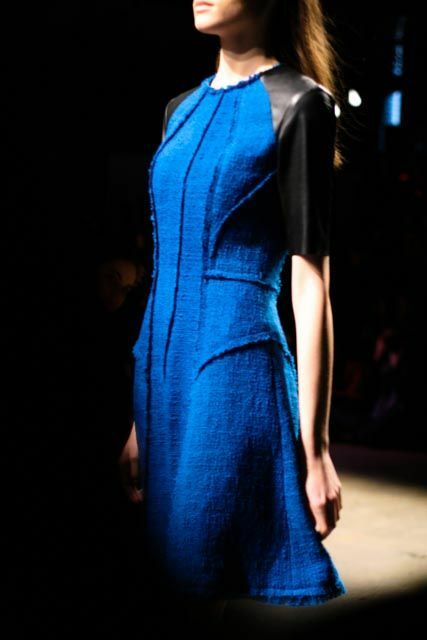 Blue dress, leather details. Yes, please. Second stop, Paris for Jenny Packham. Beaded gowns in washed pastels and jewel tones, she does Hollywood better than almost anyone around. Inspired by 17th Century Paris salons. relaxed gowns were shown side by side with tea-length dresses. 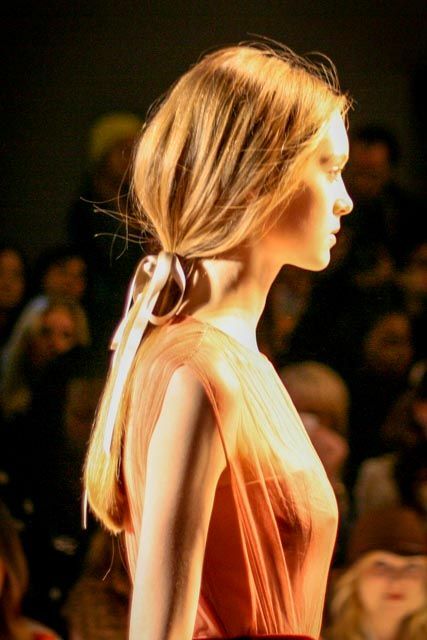 Here it’s the details of the hair: low-slung ponytail on the nape of the neck, was so simple, so sleek, and so Parisian. Third stop, the interiors of Saint Petersburg’s Mariinsky Theatre for Christian Siriano’s show. From opulent gold beading and heavy velvets, he showed plenty of looks that his celebrity clients worldwide would love. Venturing into the sportswear arena, one of my favorite looks from the collection were these leather sweatpants-style trousers. Place your orders ladies! And if you haven’t had enough visual fodder, we take an adventure to the Russian countryside with Misha Nonoo. 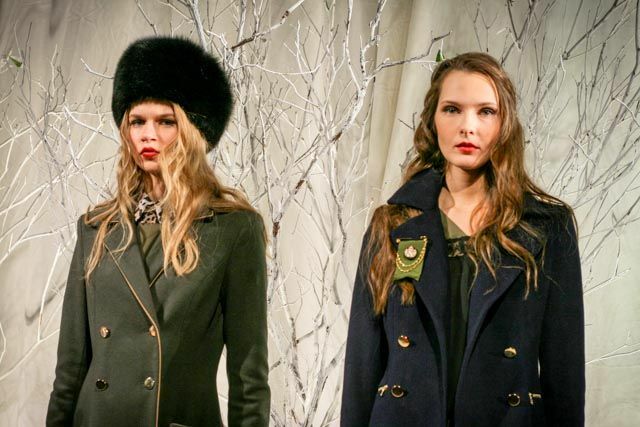 Heavy on the red palette, Nonoo’s Brtis had raccoon sherpa hats, yes, but also clean-cut sharp tailored jackets, smart blazers, and adorbs magpie intarsia sweaters. And for the last stop, before you head back to reality, it might be a better trip if you’re blindfolded. And finally back in New York where Steven Alan showed a typically well executed and commercially viable womenswear collection perfect for New York days. 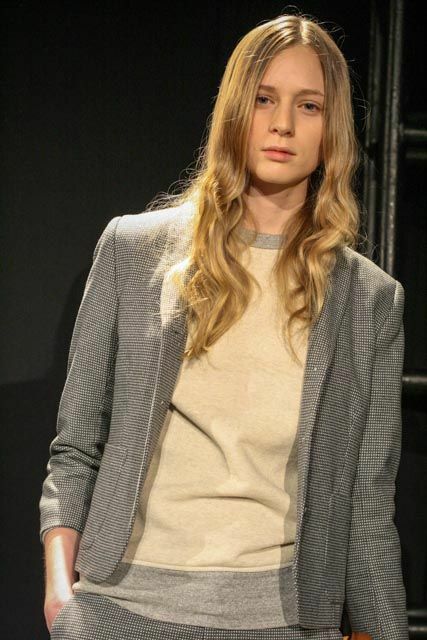 There’s just something about the slouchy blazer, and the loose-fitted men’s shirts that I love. You’re on your own to fight jet lag. Welcome home! All photos taken by New York Fashion Hunter. Edited by Orlando Loredo. Amazing… great contribution to our understanding of what fashion is really all about.